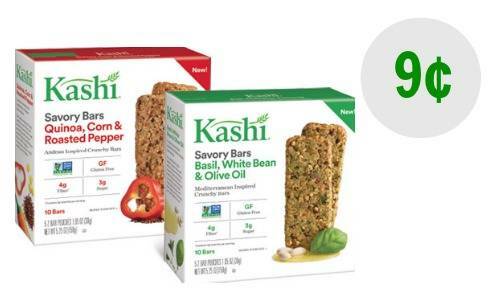 Head to Target to get a great deal on Kashi Savory Bars! Combine a Cartwheel offer, a printable coupon, and an Ibotta offer to get a box of bars for 9¢. This offer is valid through 10/22.